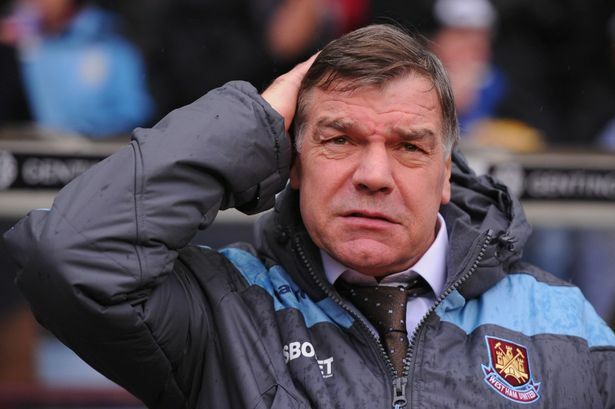 A month ago I thought Sam Allardyce needed to be sacked because he was sending West Ham towards doom. Now I think Sam Allardyce needs to be sacked because he’s leading us to safety. The last month has had a fair few low moments. The 6-0 drubbing at Man City which followed a 5-0 shamble at Notts Forest were the low points of the month. Since then we have won away at Cardiff and beaten Swansea at home, two crucial results given their respective standings. I’m not 100% certain that we are going to get out of this, but there is a Tevez-like feeling marking the return of England international Andy Carroll . He set up Noble for the second at Cardiff, as well as setting up both goals at home on Saturday. From watching the replays of the goals it is easy to seeing that he is quickly returning to the form that he was in this time last year when a full-time move was first being discussed. The return of Nolan from suspension (for now) has aided this process as the two seem to play the same style of daring football, providing they are on the field at the same time. So why sack Allardyce? Last week after the draw against Chelsea I was full of praise for the attitude he showed towards his counterpart when the tactics he used to get us what could be a vital point, were questioned. The problem with Allardyce is that he has a history of doing very little in the Premier League besides surviving, with the exception of one UEFA Cup appearance with Bolton he has never achieved anything more than the occasional mid-table finish. I remember the first time in my life that we went down (2002-03) and thinking that Bolton wouldn’t be far behind us because of the style they played. Unfortunately it is all too common for teams that he manages to scrape by, and to be completely honest I don’t want to see us turn into a club who are happy to finish 17th every year, which lets face it, I’ll be ecstatic with this season. Remember growing up when you were told about “The West Ham way”, the style of football that had us pushing for Europe and producing the next wave of English internationals? That’s what I want to see again. Bobby Moore didn’t sit in Cassetari’s moving salt and pepper shakers for us to be a club who accepted mediocre. Moore than a football club, isn’t a gimmick, it’s what we are. We are the emotions of the 2006 FA Cup Final, the disbelief when we were two goals to the good, the running around my house at 1am as Paul Konchesky’s “shot” gave us the lead going into the final third of the game, we are that feeling you got when Stevie G scored one of the greatest goals of all-time and mostly, we are the tears that flowed when Anton Ferdinand missed his penalty. We have a history to uphold. Eight managers between 1902 and 2001 is something that we are all proud of. That pride comes from knowing that no other club did anything like that in the same 100 year span. Football in the East End is about the West Ham way, so let’s return to our roots, something Sam Allardyce can NEVER help us do. This entry was posted in Published on xavierplayer.com, Written and tagged Bobby Moore, Sam Allardyce. Bookmark the permalink.